This past week’s downgrade of Cronos Group (NASDAQ:CRON) rekindled an overdue discussion about the real value of CRON stock and pot stocks more broadly. GMP Securities analyst Martin Landry lowered the firm’s stance on Cronos Group stock from “Buy,” to “Hold,” not because he feels the company has hit a wall, but because CRON stock appears to have rallied too far, too fast. While not his direct intention, Landry’s comments also assured less-daring investors missing out on cannabis-mania that their doubts weren’t entirely unmerited. More important, the marijuana craze has still lured a huge number of unsuspecting traders into a trap. The only thing really keeping these names propped up right now is hype, but hype can fade fast, and without warning. The GMP Securities analyst further fleshed out that Cronos is still well-positioned to capture a respectable piece of a very real but budding marijuana market. The time Cronos needs to fully figure out where it fits in an ever-changing market, however, could prove turbulent for Cronos stock. It was a well-reasoned, common-sense observation and too many traders would have none of it. 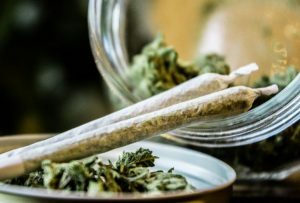 That dynamic has been in place for months, largely starting on the heels of news that Constellation Brands (NYSE:STZ) had made a major investment in Canopy Growth (NYSE:CGC). Shortly thereafter, Altria Group (NYSE:MO) bought $2 billion worth of Cronos stock, solidifying the idea that not only did cannabis have a bright future, but a wave of deal-making and outright acquisitions was imminent. That wave isn’t quite as imminent as some have been hoping. Despite the overly-aggressive pushback against his point, that’s all Landry was really trying to say. For the relatively small but highly vocal horde of investors who not only bought heavily into Cronos, but bought into the very premise of the cannabis movement itself, it is tough news to hear. They’re not wrong to be optimistic; the marijuana legalization movement is steam-rolling its way across the world. Their expectations and timeframes, however, are uncomfortably aggressive. We’ve seen it happen before. Think back to 2013. That was the rise of the affordable (sort of) 3D printers, which were supposed to revolutionize small-scale manufacturing. And they did, to some degree. Investors who bought into the idea of the craze at the time were severely punished though. 3D Systems (NYSE:DDD), a poster child of the 3D printing revolution unfurling at the time, soared from $12 per share near the beginning of 2012 to a peak of more than $80 in 2013. By late-2015, it was back under $9 per share, with 3D printers never living up to their full hype. Another proverbial failure-to-launch: The 2012 race between Arena Pharmaceuticals (NASDAQ:ARNA) and Orexigen Therapeutics (OTCMKTS:OREXQ) to introduce the first FDA-approved weight-loss drug to the U.S. market in thirteen years. Both stocks soared on their respective prospects, but neither stock has ever been priced as high as they were right around the times of their approvals. Neither drug has met lofty sales expectations being batted around them. Orexigen, in fact, has since declared bankruptcy. Investors were certain at the time, of course, that could never happen. The buzz was too strong. Add solar panels, cryptocurrency, real estate in 2008, dot-coms in 2000, wearables, and a hundred others to the lists of investing letdowns. They all still have a place, and offer select investment opportunities to be sure. They’ve all, however, pulled the rug out from underneath early-cycle investors that loved the premise but ignored the plausible math. Yet, somehow the “this time is different” argument is being recycled, indicating investors believe pot stocks will never see any serious downside again. Or, perhaps this time truly is different. Never say never. If we’re thinking realistically though, it’s naive to not suspect the ongoing legitimization of marijuana won’t draw bigger players into the arena before outfits like Cronos get a chance to fully take rook and make a buck. Such a development sets the stage for potential acquisitions. Indeed, bigger players have already tiptoed into partial ownership. That bodes well for Cronos Group stock. Those would-be buyers have far more time to let the dust settle than most M&A-minded investors care to believe though. That leaves plenty of time to wear the polish off of CRON stock and its peers, and let the reality of debt and heavy spending tarnish the shine. Still, there’s no denying Cronos Group stock will make for some great swing trading, the next one of which should be pointed down. GMP Securities’ Landry couldn’t be quite that blunt, of course. Article printed from InvestorPlace Media, https://investorplace.com/2019/02/dont-get-trapped-by-all-the-hype-surrounding-cronos-stock-simg/.